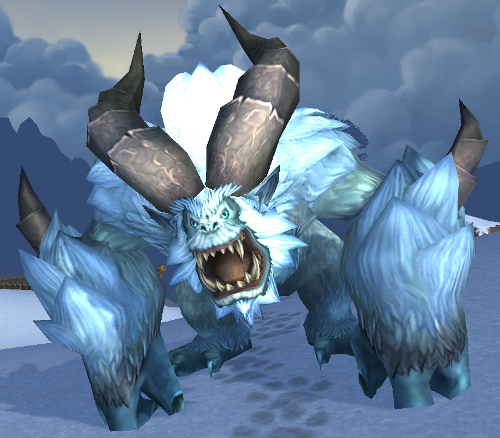 In Wrath of the Lich King we had the saronite shuffle. 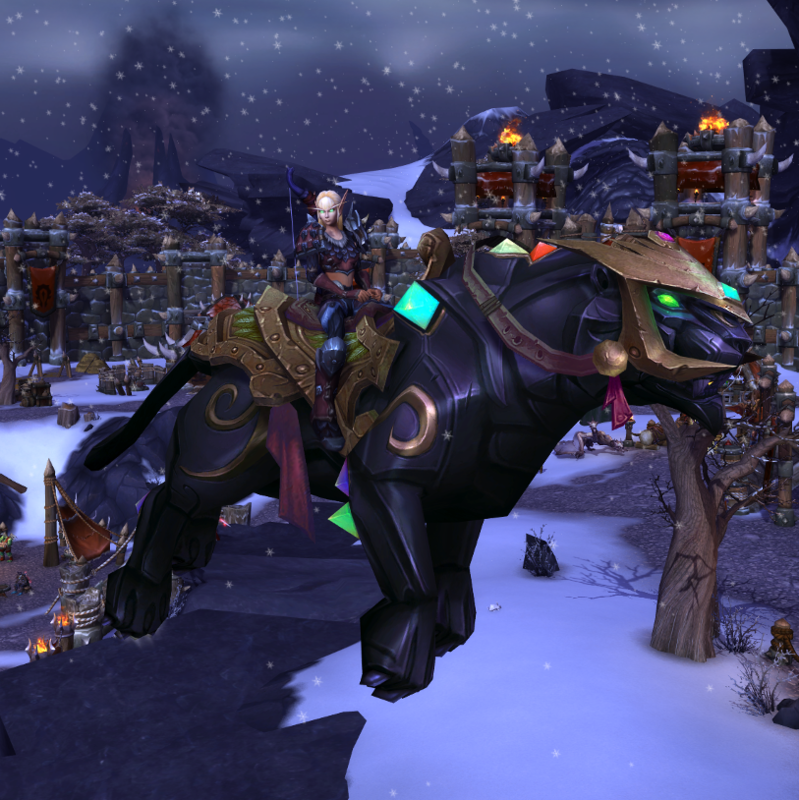 In Cataclysm we had the elementium shuffle. 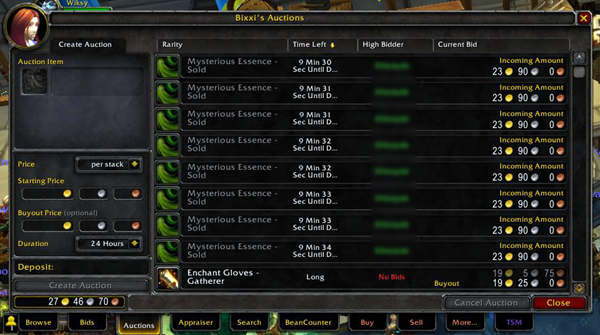 Mysterious Essence and the Enchanters Shuffle sounds a lot like a new Harry Potter book heh. 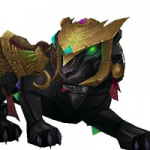 The Shuffle is based on the enchanting profession abilities, “Ethereal Shard”, “Mysterious Essence”, and “Mysterious Diffusion”. 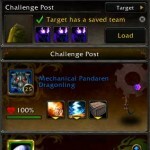 You need an enchanting skill of 500 and it costs 2g 28s to train. 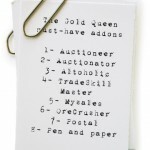 The addons you can see in this screenshot, which change the professions window, are: Trade Skill Master, Auctionator, Ackis Recipe List and Lil Sparky’s Workshop. 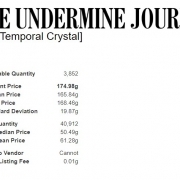 Look at the prices for Spirit Dust, Mysterious Essence, and Ethereal Shard. 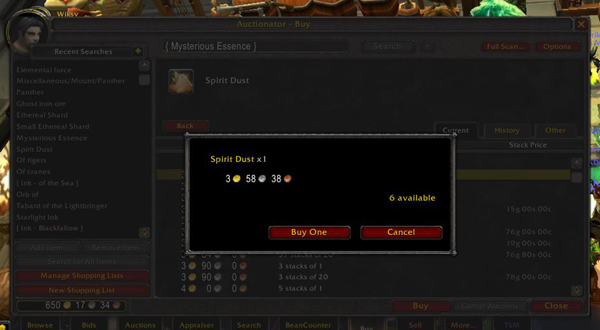 If 5 Spirit Dust purchase cost is less than one Mysterious Essence selling price, you can profit. 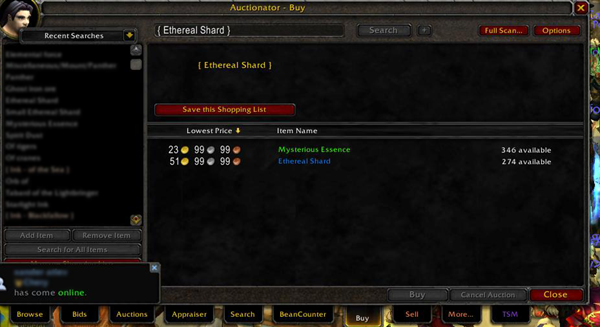 Go to the Auction House, Open your Auctionator AH BUY tab, and open your enchanting. Click this button here. 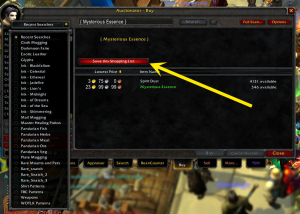 Your AH window should begin to search then look a bit like this. 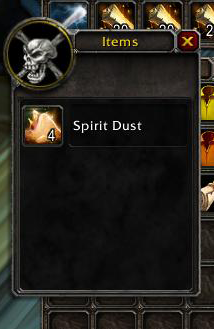 You can also get Spirit Dust by disenchanting all those cheap Mists of Pandaria crafted greens and green drops that are filling your AH this week. 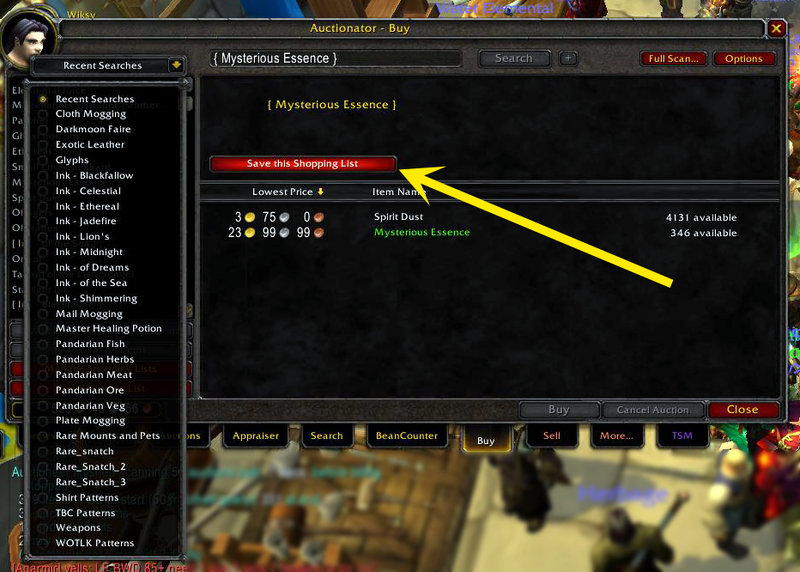 You can save the Mysterious Essence search as a shopping list in Auctionator. As you can see, I already have a ton of shopping lists, so I’m skipping this step. 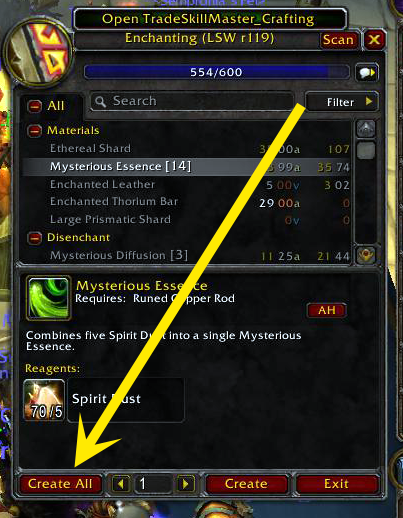 Don’t forget to check to see if you can do the Mysterious Essence to Ethereal Shard Shuffle. 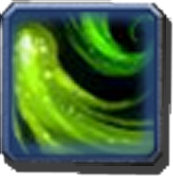 Here, you can do a Shard to Essence shuffle. 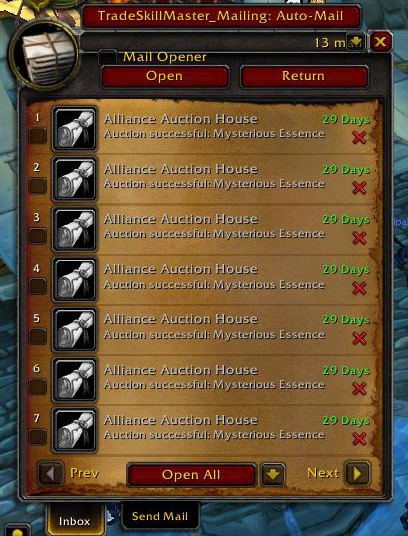 Unfortunately the AH does take a cut of your profits. 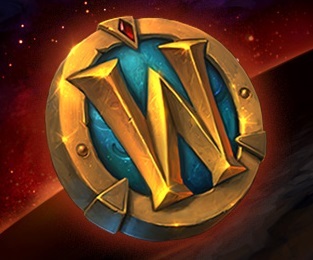 Send all your profits over to your main or you’ll spend it. 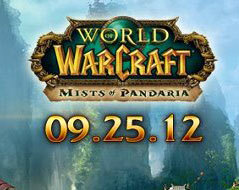 In Mists of Pandaria, Enchanters can change Sha Crystals, Ethereal Shards, Mysterious Essence and Spirit Dust into each other. 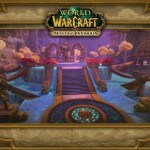 The shuffle will mature during the expansion to enable you to make profits at each level. 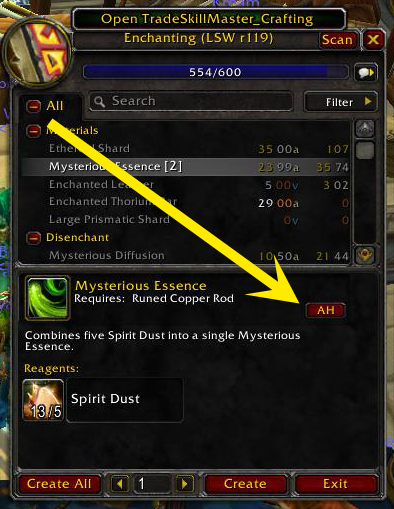 I’m profiting on this daily right now at more than double profit on the Spirit Dust, but what I don’t understand is WHY?!? 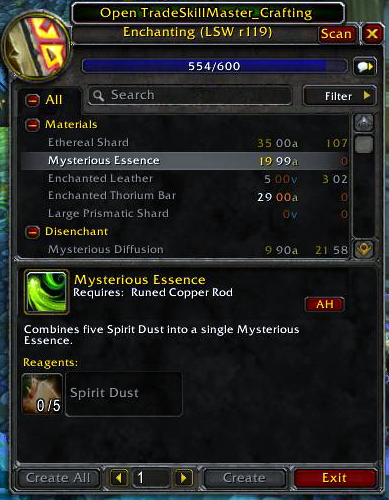 As far as I can tell, Mysterious Essence is ONLY used by Enchanters. 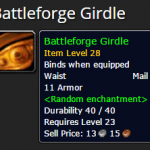 Wowhead shows that the only use is Enchanting recipes. 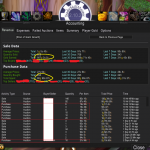 Are there that many brain dead enchanters on my server that don’t know they’ll save 20g+ per Essence by buying the Spirit Dust and crafting it? 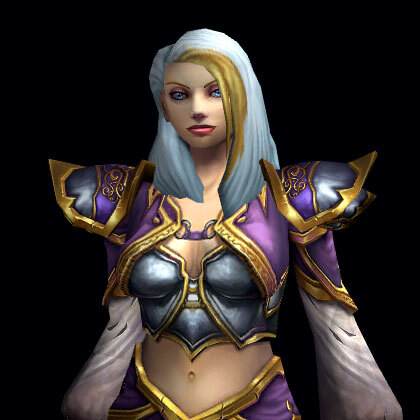 Innorite! I’m shocked that it exists, and expect the other enchanters to notice soon. 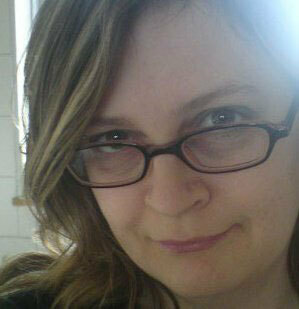 Oh, very nice. 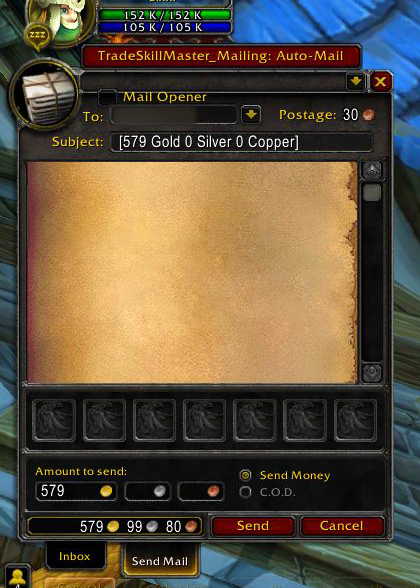 Being able to go back and forth with all of the enchanting materials will be very profitable indeed. Thanks for another excellent post!